DermaPep™ - A530 represents the most effective active ingredient for irritated and sensitive skin. 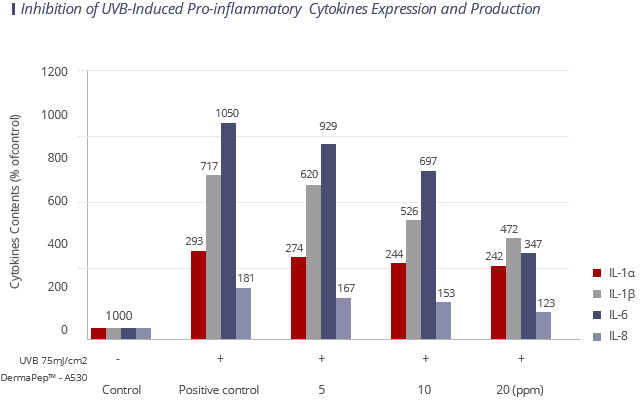 It greatly reduced inflammatory cytokine expressions and productions in vitro, especially IL-1α, IL-8 and TNF-α, three most important cytokines that have been known to cause skin irritation. 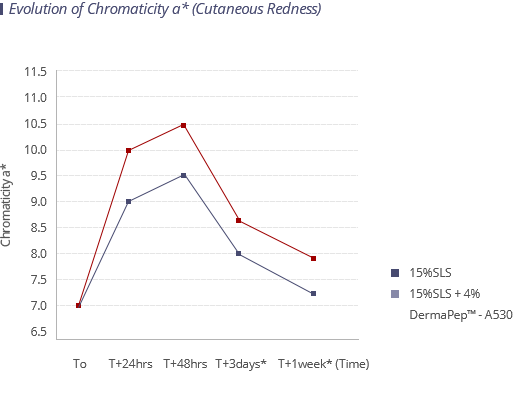 DermaPep™ - A530 also clinically proved to reduce skin inflammation and irritation. DermaPep™ - A530 can be incorporated in cosmetic formulations such as emulsions, oily sera, gels and creams for anti-inflammatory and anti-aging purpose.